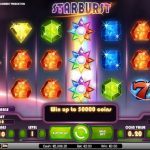 Fall into a trance as you spin the reels and gain tremendous amounts of Bitcoin through the offerings of Starburst slot—the gem of Bitcoin slot games. 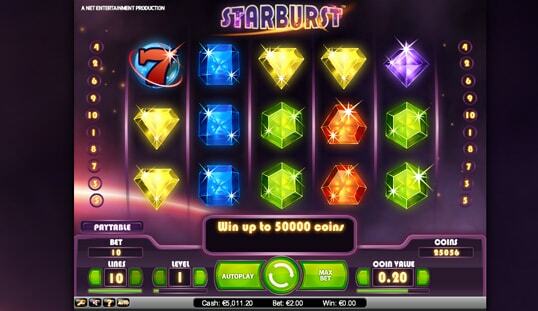 This NetEnt-powered Bitcoin slot is known for its unparalleled approach to aesthetics. 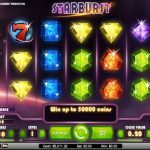 When it comes to designs and graphics, players can expect shiny and shimmering jewelry-like slot symbols that glimmer each time they land a win. 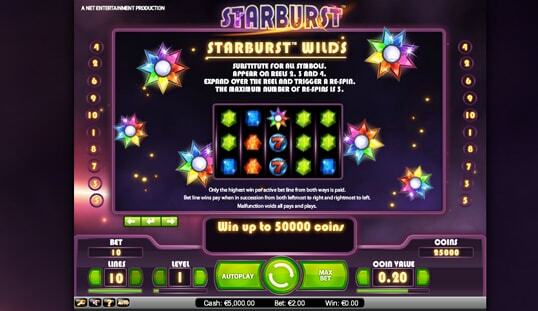 The Starburst slot’s music and sound effects are also winners. Similar to its visual representation, this game’s audio design is among those that are difficult to match. Due to the perfect combination of tranquil and sophisticated music, bettors are guaranteed to fall into trance every time they spin the reels. 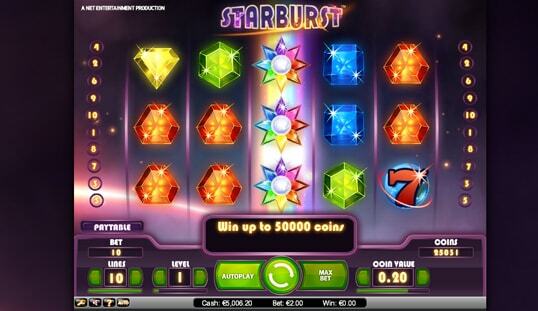 Starburst may be eccentric, but it is definitely fun and easy to play. This game is designed to have a humble structure of five reels and 10 pay lines, which is extremely normal for the majority of slot games both land-based and online. This game is also equipped with an autospin feature for further effectivity. Through this handful feature, players are now able to wager and win Bitcoin without the need of consecutive mouse clicks. This structure is completely efficient since bettors are given the opportunity to maximize their enjoyment with a Bitcoin slot that is like a breath of fresh air, but is completely simple and easy to comprehend. 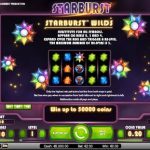 Other than its awe-striking design, the Starburst slot bonus features are what make this Bitcoin slot game truly remarkable. This game is well known for its exclusive wild symbols that expand on reels two, three, and four in order to cover the entire reel. What is unique about these wilds is that regardless if the reels continue to spin, they stay in place, waiting for other wilds to stack on them. If this happens, another reel expansion will occur, leading to more chances of winning Bitcoin. 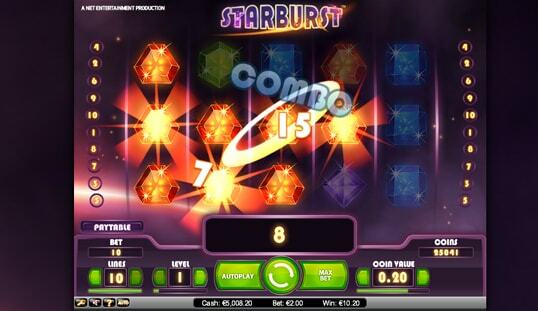 Meanwhile, the Starburst respin feature is virtually limitless. It means that players can continue to stack wilds as long as they appear on every respin. The only time this feature is cancelled out is when no wild symbols appear on a specific respin. 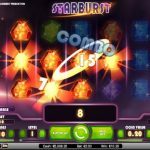 The Starburst Bitcoin slot by NetEnt is among the pillars that have completely revolutionized the Bitcoin gambling industry. Because of its inviting game structure and countless opportunities of winning, this game has undeniably captured the interests of a vast number of Bitcoin gamblers. Try this gem of a Bitcoin game that is available on Bitstarz, 7BitCasino, or on any other NetEnt-powered Bitcoin casino.